This holidays, I decided to be a little more creative with some of my gifts. I always like to give everyone at work a little something at the end of the year, but it's not always easy to think of something that will suit everyone, is nice, and won't break the bank! 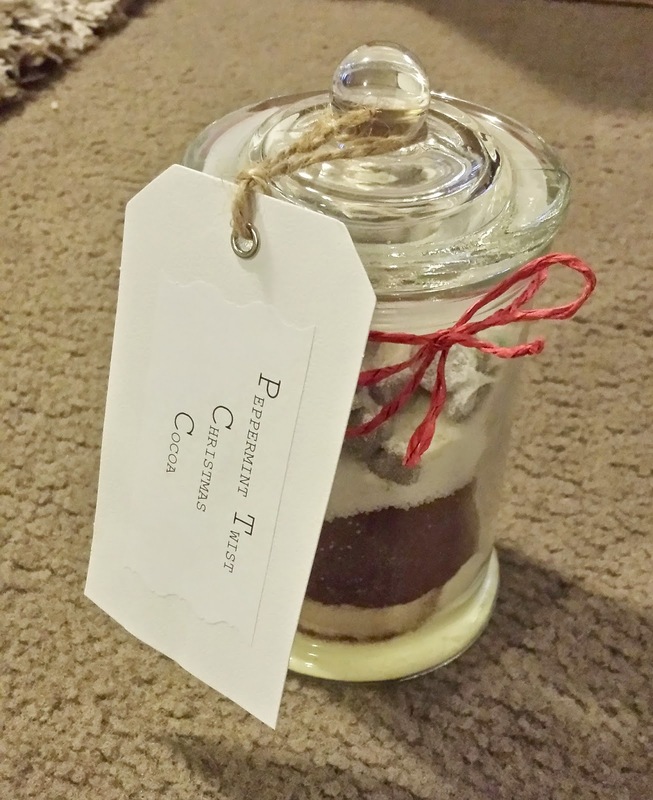 So this year, I opted to do something a little bit different, and fun - these cute little jars of cocoa mix (with a Peppermint twist for the holidays). I realize I'm posting this a little late, but I was so happy with how they turned out, I thought I would still share them with you - better late than never! 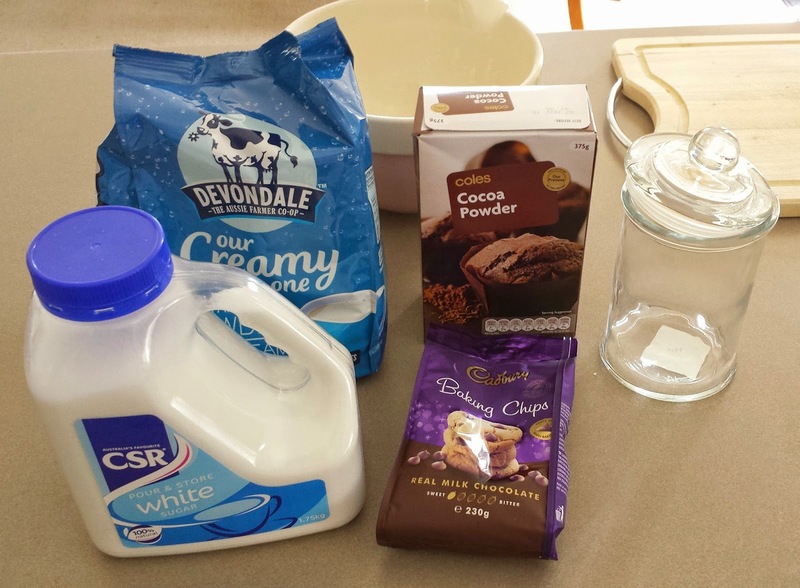 1 cup each of milk powder, cocoa powder and sugar, 1/2 cup mini choc chips and crushed candy canes to top. Layer the ingredients, one by one, being careful not to mix them together. Also add a pinch of salt to the mix. 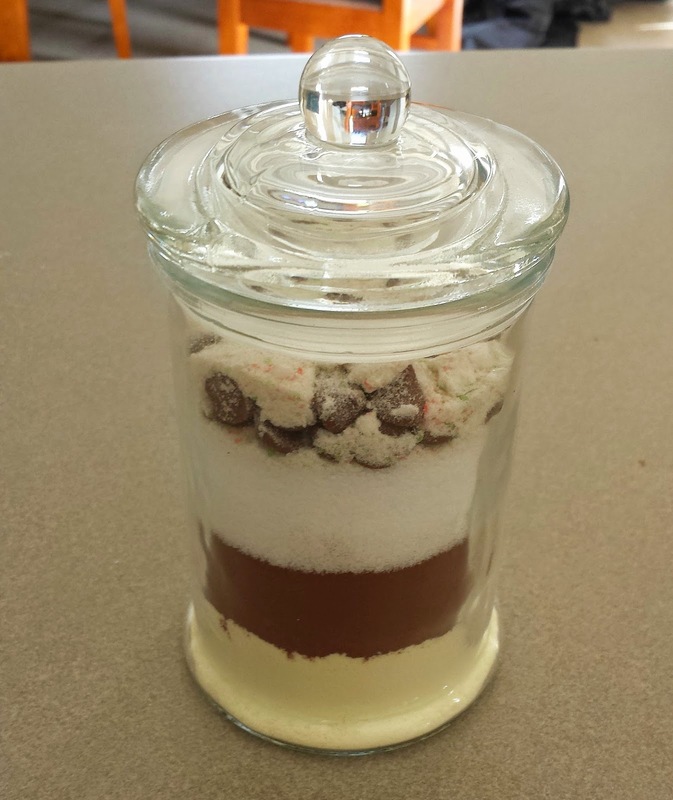 The top layer should be the mini choc chips, and finally the crushed up candy canes - as much or as little as you like to make it look pretty, and add the Peppermint twist. Once the jars are filled, you can decorate them however you like. I kept mine simple, with just a little bit of coloured raffia, tied around the top, and then I attached a labeled tag to the lid. 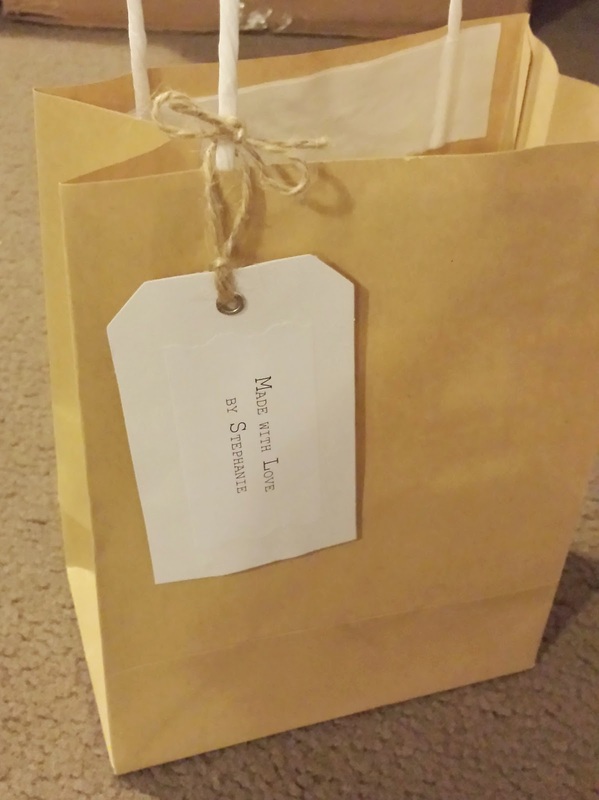 I used plain brown paper bags to present them in, and attached another tag to the bag. "Mix contents in a large bowl. For each serving, place 1/3 cup cocoa mix in a mug and stir in 1 cup boiling water. Store remaining mix in airtight container". This is such a fab idea! 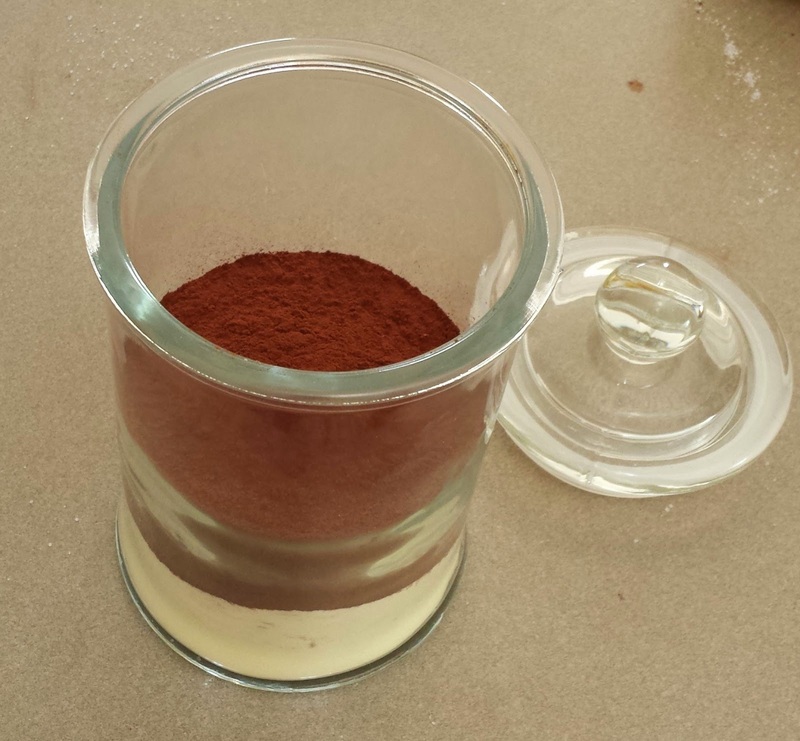 I did a Brownie in a Jar mix for a friends gift but I never thought of a cocoa mix!